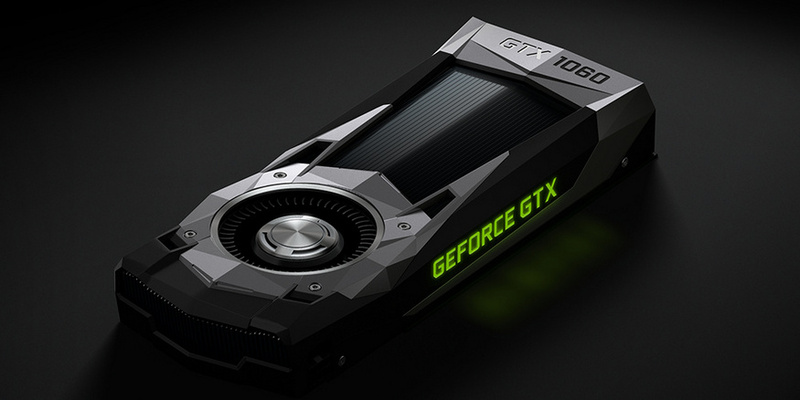 Hot on the heels of AMD Radeon RX 480 release, Nvidia has announced their competitor in the same general price and performance category – GeForce GTX 1060. GTX 1060 is based on GP106 GPU, which is essentially half of the larger GP104 (used in GTX 1070 and 1080). As clocks are similar to its larger brothers, we may expect slightly more than half of GTX 1080 performance in games, somewhere close to GTX 980 levels. GTX 1060 is equipped with 6 GB GDDR5 VRAM running at 8 Gbps over 192-bit bus, resulting in 192 GB/s bandwidth. GTX 1060 is rated at 120 W TDP, which puts it safely within the bounds of power that can be provided over a single 6-pin power connector and PCI Express slot. While having two GTX 1060 cards would not be hard on the PSU, there is no SLI support on this card. Just as other Pascal cards, GTX 1060 supports new media features and Nvidia’s VR efficiency improvements. GeForce GTX 1060 will be available on July 19th, starting at $249 MSRP for partner cards and $299 for the reference Founder’s Edition, sold only by Nvidia themselves. Hopefully, the simultaneous release and less prominent FE will lead to lower prices, as GTX 1070 and 1080 are still sold at a premium by most retailers.